So, what is a buyer agent commission rebate? Simply put – cash back at closing. But, there’s a bit more to it than that. In other words: A buyer agent commission rebate is – money that your buyer agent will refund to you at closing. When a buyer purchases a home, a large part of the purchase price goes to pay off commissions to the agents involved. The buyer agent typically receives a commission equal to 3% of the home purchase price. 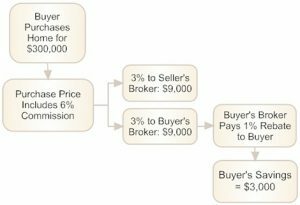 A buyer agent commission rebate is a portion of the 3% commission that the buyer agent will rebate to the buyer at closing. Why would a buyer agent rebate their money to me? Buyer agents will rebate their commission to you for a number of reasons. They typically provide these rebates because they operate efficiently and pass those savings on to you as an incentive to choose them over another agent. Buying a home can be a complex, overwhelming, and exhausting process. However, the best real estate buyers agents now use technology to improve how efficiently they operate, streamline processes, and improve the home buying experience. These efficiencies result in reduced operating expenses. And many of those agents are willing to pass those savings on to you in the form of a commission rebate. These are the type of buyer agents you want to work with. Legally, buyer agent commissions are negotiable. When agents compete, you win. But, are there enough agents near me to compete? Spoiler alert: there is definitely not a shortage of agents. According to the National Association of Realtors: There are over 1.3 million REALTORS® in the US. Let’s say you buy a home for $300,000. The seller would then pay 6%, or $18,000, to be split among the two agents involved in the transaction. Traditionally, this is 3% to the listing agent and 3% to the buyer’s agent. With $9,000 newly in the buyer agent’s pocket, the buyer agent would then rebate up to 33% of their commission (aka up to 1% of the home’s purchase price) to you (the buyer) at closing. How does a buyer agent commission rebate help me? According to Zillow, the average home price in the US is $222,000. Meaning, if you were to work with a buyer agent who offered a 1% commission rebate back to you at closing, you could have have an extra $2,222 at closing. What would you do with an extra $2,222? How do I negotiate a buyer agent commission rebate? Do your homework, ask for what you want, and always be willing to walk away. The person that cares the least always has the most power. With this being said, sure, you could negotiate. But, like with anything, there are risks involved. So, why even bother negotiating when companies exist that have already done this research for you for free? If you approach a buyer agent and find out that they don’t offer a rebate, you’re likely to receive a number of reactions. Some agents will think you’re asking them to work for less than they think they’re worth, and likely to be offended. Sure, you could negotiate with agents with these types of reactions. But, it’s better to be safe than sorry. Avoid the drama. Avoid the headache and hassle of negotiations. Be informed and look to industry experts at Transactly with a proven track record of results in negotiating rebates for home buyers. 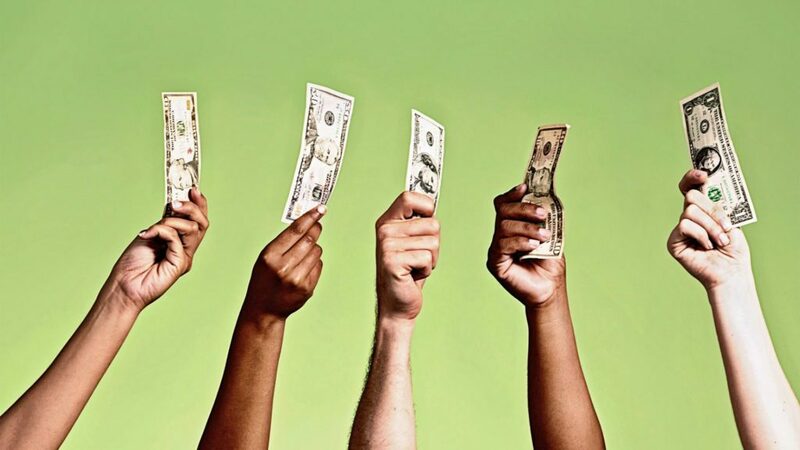 There are number of way to choose and a hire a buyers agent, but if you’d like to receive a commission rebate be sure to have that discussion as early in the process as possible. Is a buyer agent commission rebate taxed? According to the IRS, regarding Form 1099-MISC, no they’re not. Technically, a commission (aka cash) rebate is a price adjustment, and subsequently not the buyer’s taxable income. When the buyer subtracts the total of the rebate from the base price of the home, this is the best way to approach the situation. You’ll want to double check with your accountant though, since situations are rarely universal. Do I qualify for a buyer agent commission rebate? In 2019, buyer rebates can be legally offered in 40 of 50 US states. The states that do not offer a buyer agent commission rebate include: AK, AL, IA, KS, LA, MO, MS, OK, OR, TN. However, there are still ways to reduce commission, and receive cash back at closing in these other 10 archaic states – ask us how. Now that you’re armed with this knowledge – and, considering buying a house – what’s next? Transactly has already done the research, and finding out how much of a commission rebate you’re eligible for is free. You can find find a top real estate agent near you using Transactly now.